I've been experimenting a lot with resin recently and today I'm going to share a little experiment I carried out making free-form glitter resin dots. I've been working on a technique for creating small resin shapes without a bezel or mould and this is the first of a couple of blog posts I'm going to do using the technique. I chose to use Ice Resin as it's really easy to use, dries very clear and has only the slightest odour. Grease proof paper, wax parchment or a non stick sheet. Board or table to tape your grease proof paper to. 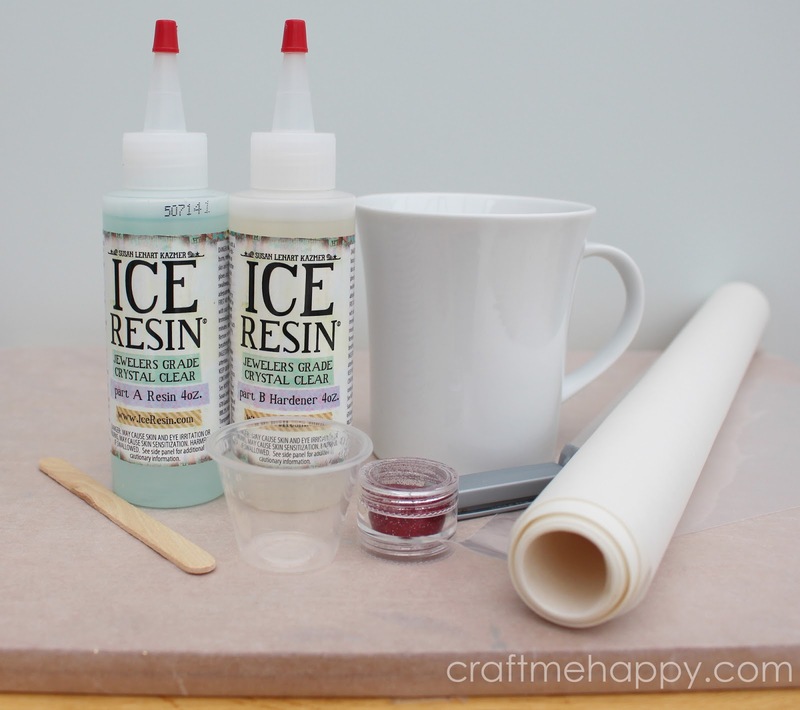 Resin will stick to many surfaces, but it doesn't stick to grease proof paper so you can use this to your advantage. Prepare your area either by taping grease proof paper to your table, or covering a large board with it. I prefer to do the latter as it enables me to move my board and resin shapes around if I need to put them out of the way. 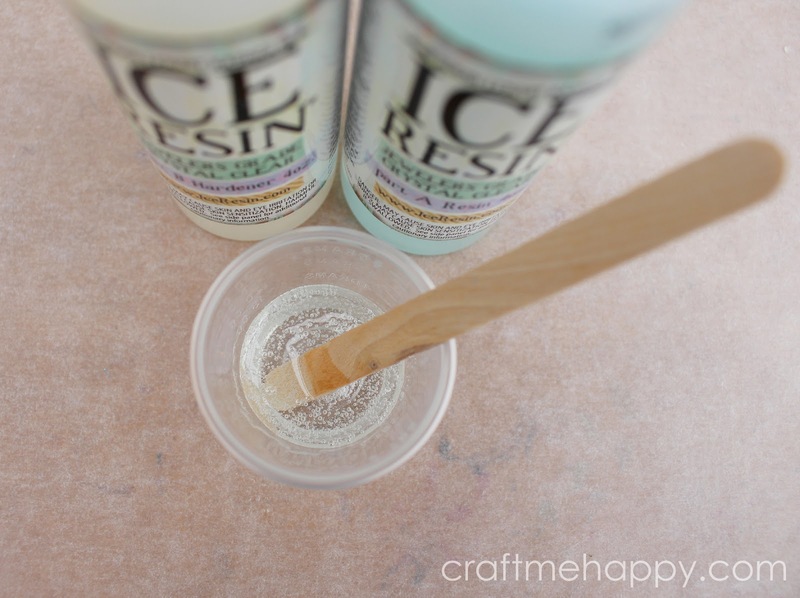 Following the instructions that come with the Ice Resin, mix together 5ml of bottle A and 5ml of bottle B. It's better to pour it slowly to allow it to settle. Stir it slowly for over two minutes until there are no striations in the mixture. 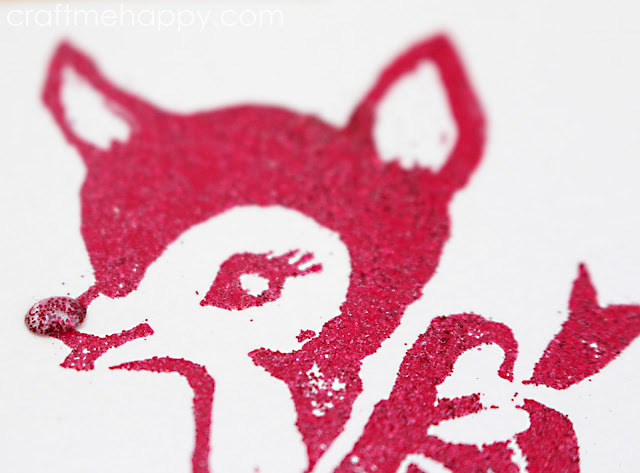 Add your glitter colour of choice - I'm using a lovely fine red sparkly glitter. Add enough so that it looks opaque when you look into it. 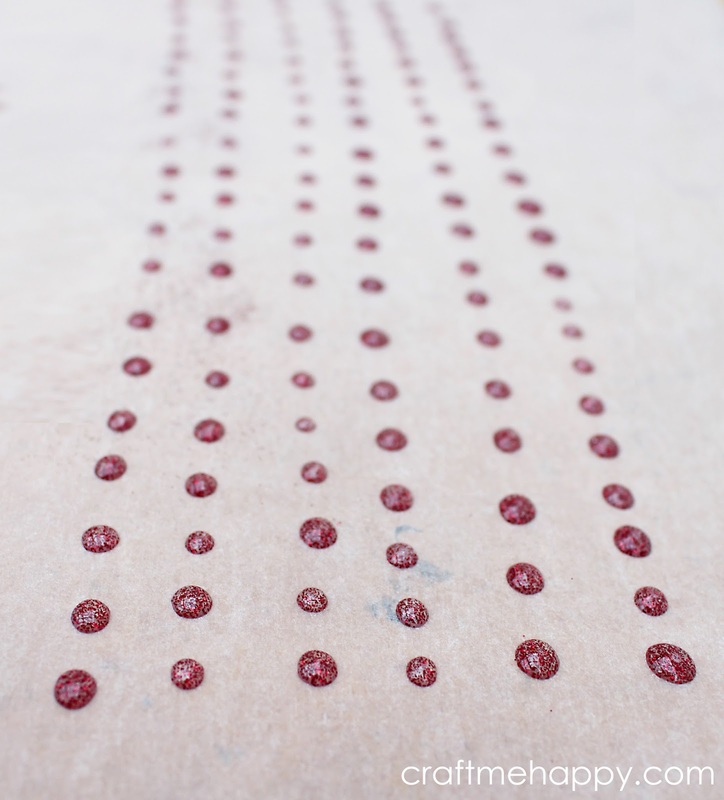 To make it easier and quicker to make very small dots, I've been experimenting with pouring my resin into a disposable piping bag. I haven't seen this method anywhere else, but I find that it gives me much more control and I'm able to dispense much smaller dots than if I pour it, or dab it on with a stick. 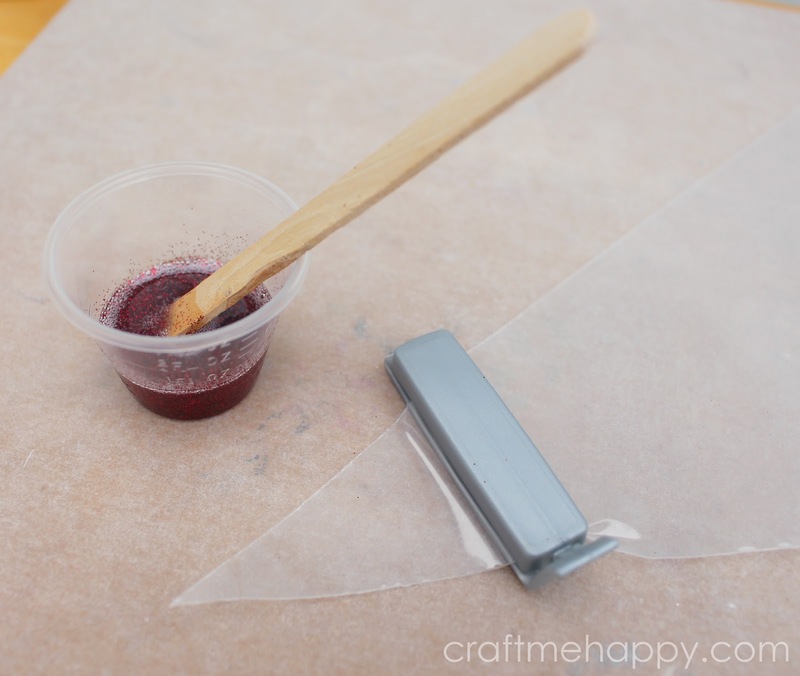 Put a clip onto the end of the disposable piping bag. This is to stop the resin from flowing right to the bottom of the bag straight away - this serves to keep your scissors clean when you cut the end off later. 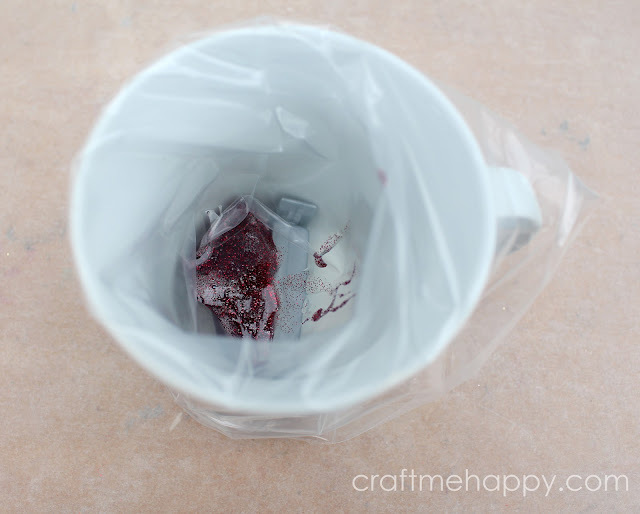 Put your disposable piping bag and clip into a cup and wrap the edges over the rim of the cup to open up the bag. 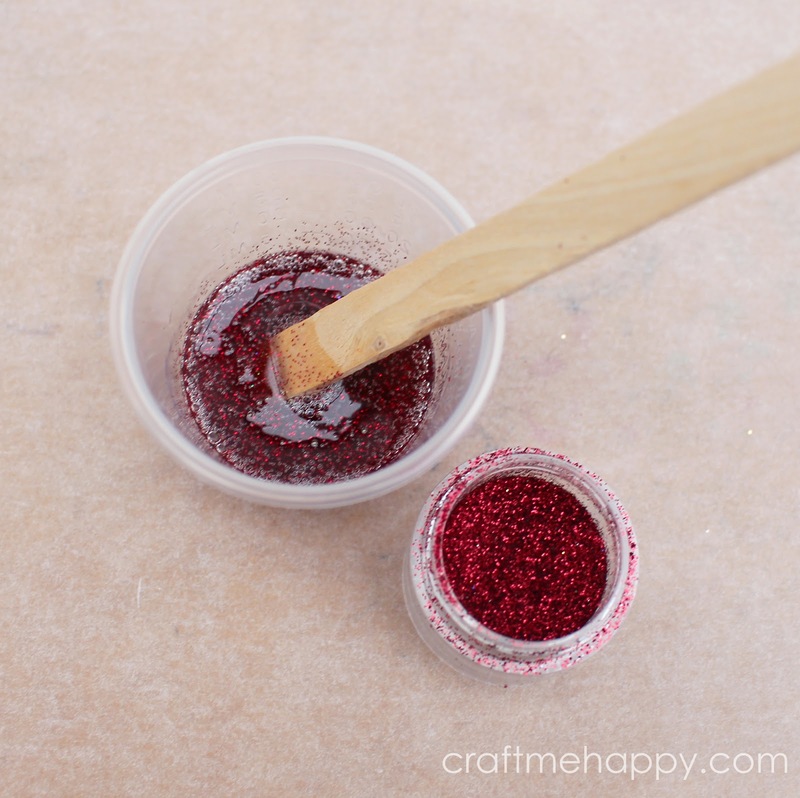 Carefully pour in the glitter and resin mixture and leave it to settle for 5 minutes. After 5 minutes, lift out the bag and fold over the open end, securing it with another clip. Cut the tip off the piping bag, leaving a 2mm hole at the very bottom. 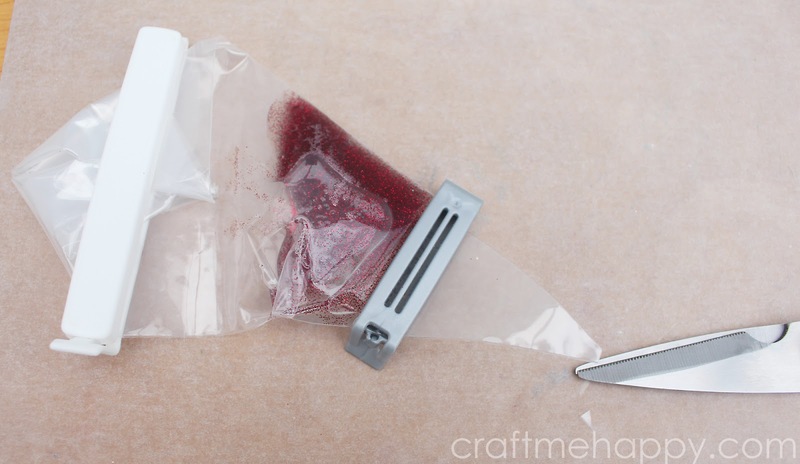 Remove the first clip holding back the resin and squeeze the resin down the piping bag towards the hole. 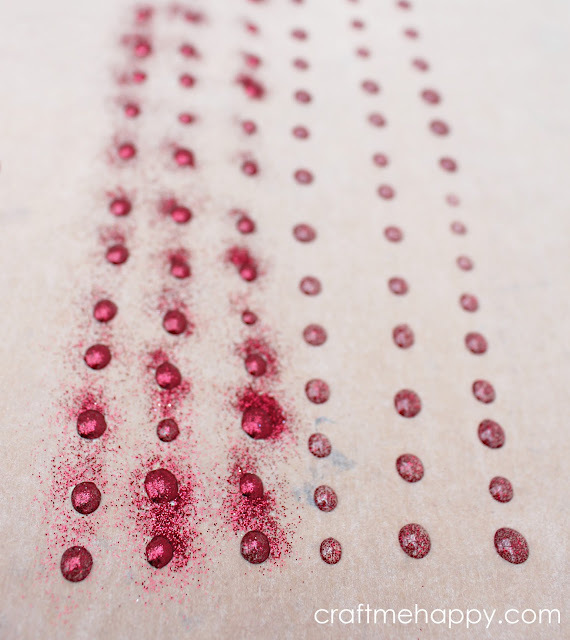 You can now start piping your little glittery dots onto the grease proof paper. I find that the piping bag gives me so much more control and allows me to whiz through a couple of hundred dots neatly and easily. My technique for these was to simply aim the piping bag straight down onto the paper and give it a small squeeze, pulling away upwards to prevent a trail from one dot to the next. After a short while I decided that some of my dots where looking a bit more transparent than I would like, so I sprinkled a little bit of glitter on half of the dots to see which I preferred. 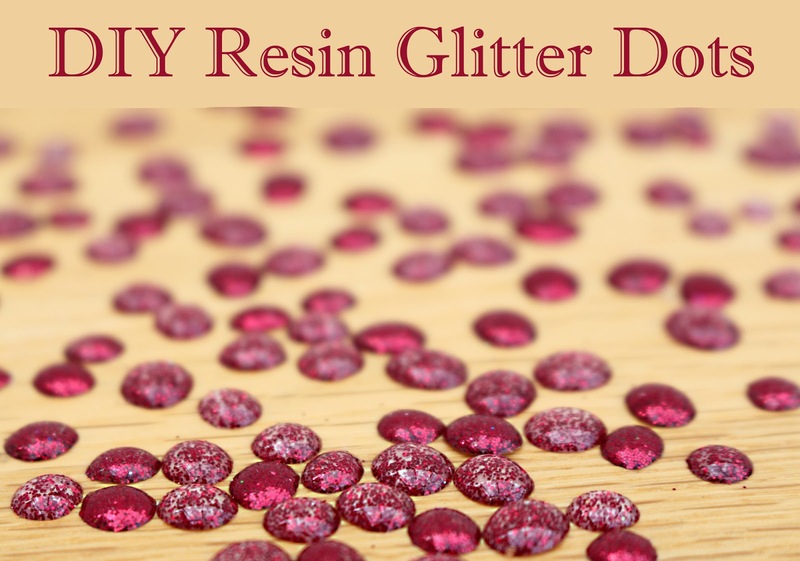 I should warn you that sprinkling glitter on can break the surface tension of the resin, resulting in flatter dots with untidy edges. If you plan on sprinkling glitter on your resin dots, make more than you need to allow for the inevitable imperfect ones. 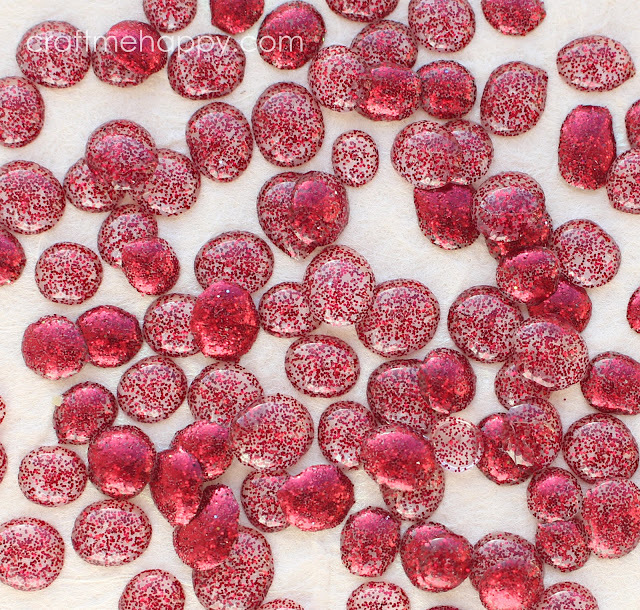 ... and you're left with hundreds of little glittery dots that make great card embellishments or scrapbook page elements.